A testament to rugged simplicity. Each approx. 6"h., 22 oz. Runs Bigaria-label="A rating of 1 means too small, a rating of 5 means too big, a rating of 3 means true to size. This items average rating is 1.8. 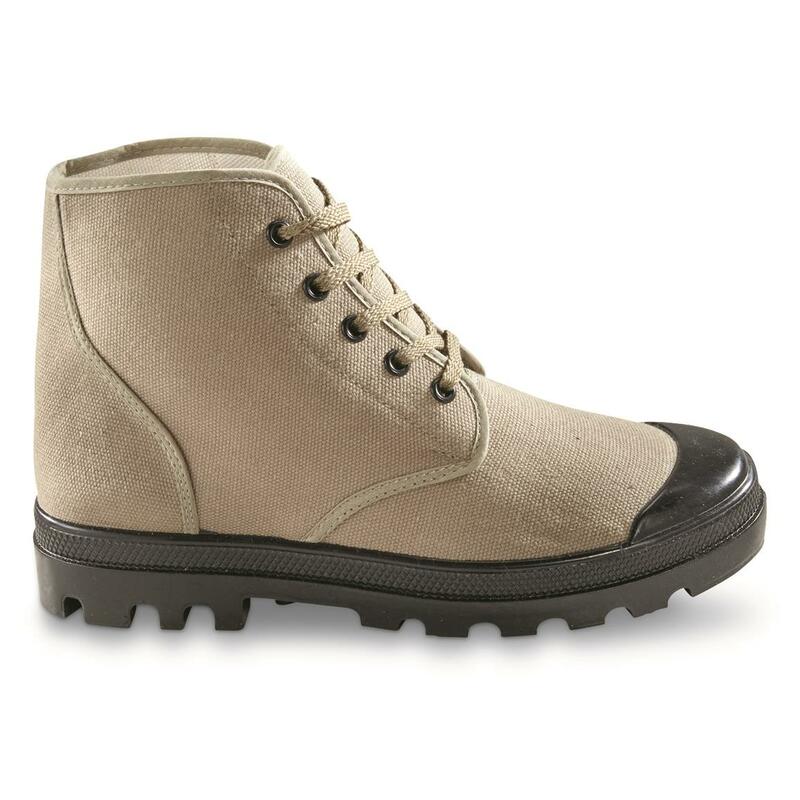 Classically tough French-style Canvas Commando Boots, all 100% cotton and rubber, not an ounce of fat to be found anywhere! 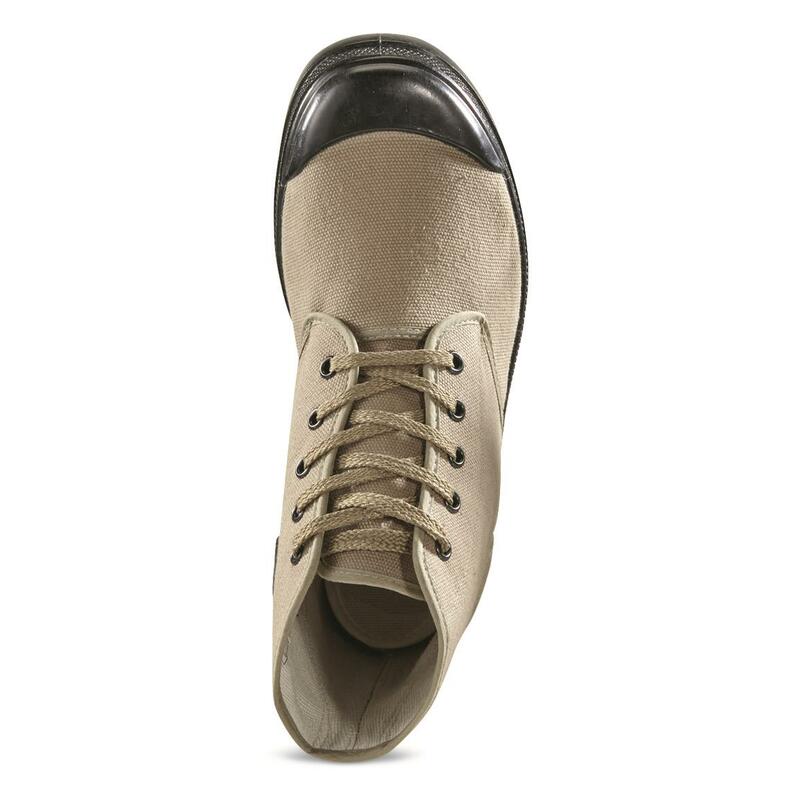 The thick rubber outsole is actually vulcanized to the upper, and then reinforced with an interior seam…so it'll never split on you. The upper is pre-impregnated 100% cotton that's quick-drying and breathable, but sturdy as heck. 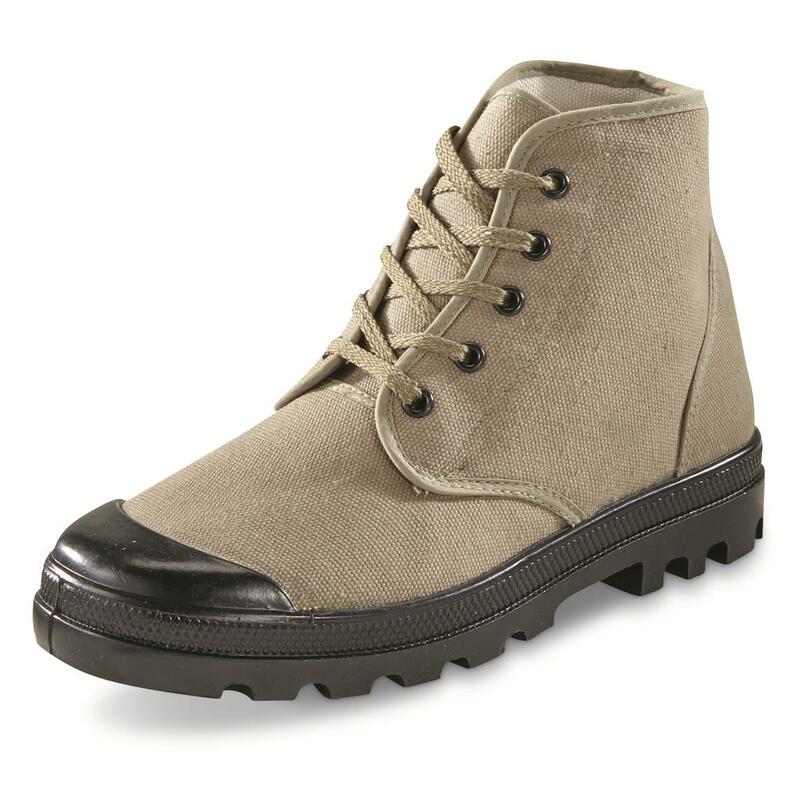 Mil-Tec French Style Canvas Commando Boots, Olive Green is rated 3.5 out of 5 by 4. Rated 1 out of 5 by Fritz from Sized wrong good quality but sizing completely wrong. so small, cannot recommend any size that will work. tried two pair, 3 sizes too big in theory, but so small could not even get on. avoid these, too bad, price is right for quality. Rated 4 out of 5 by kazz from Great price Nice canvas boots. Soles seem stiff but should relax with wear. They run small. I seen another review about ordering one size up so i did. Im glad i did. Wish they had screen vents. 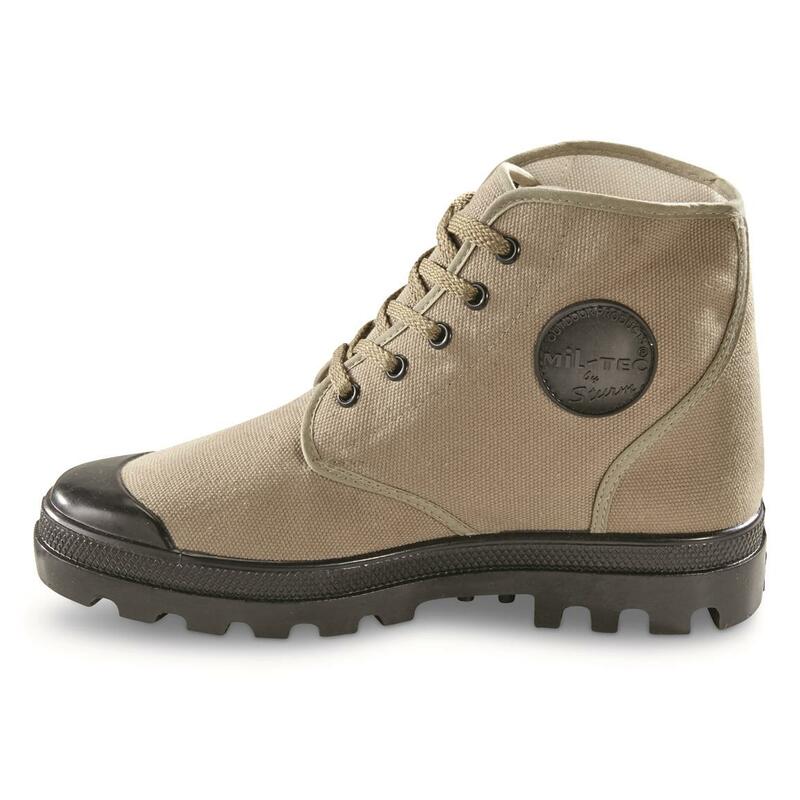 All in all for the money , awesome canvas boots. 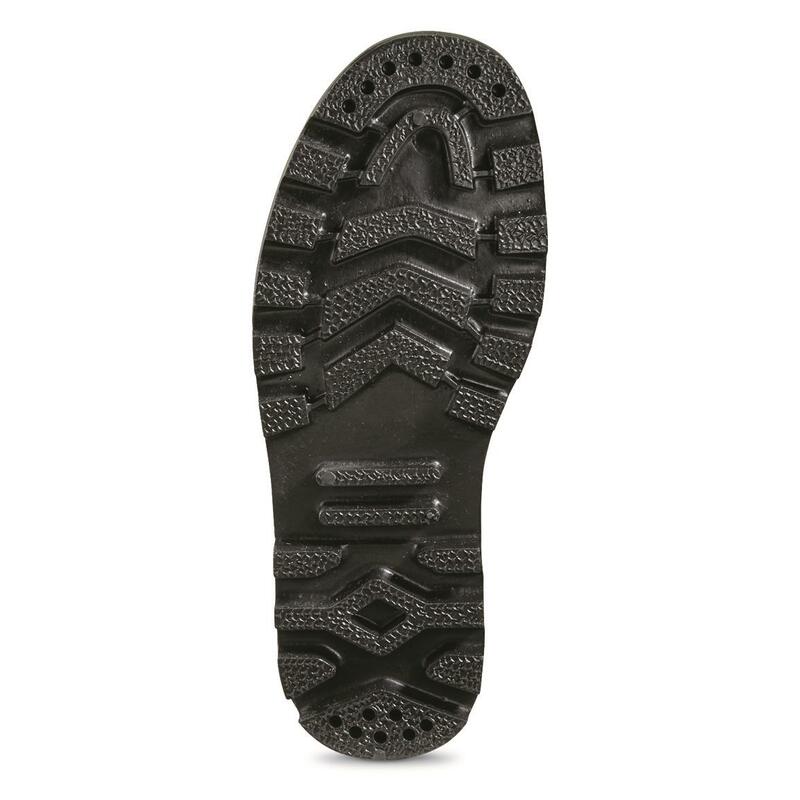 Rated 4 out of 5 by Steve from great price on a great boot! 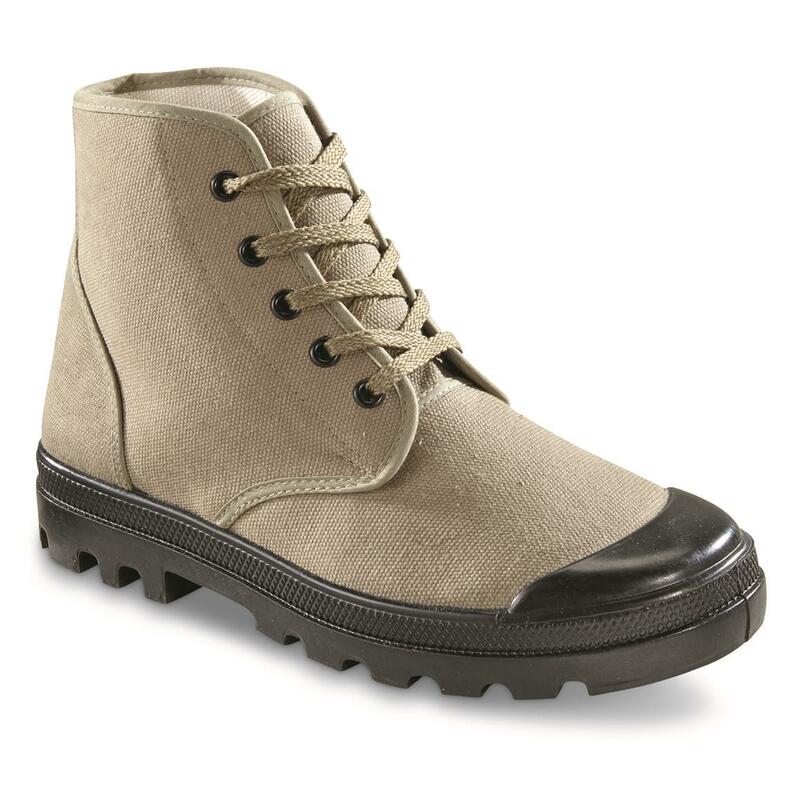 An affordable alternative to Palladiums. A bit stiff, but get better with wear. I would likely order one size up than your normal size. They look great!